I talk a lot on the blog about the role fathers play in teen girls’ lives. 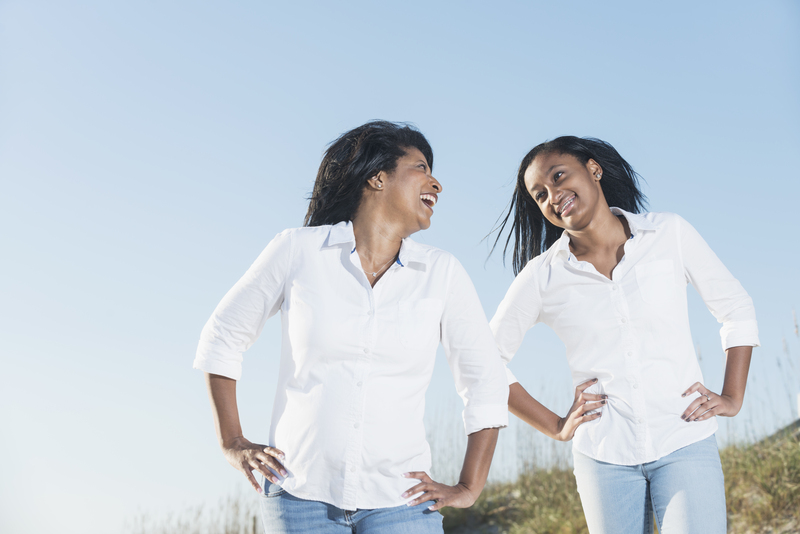 But today, I want to focus on the role mothers play in teen girls’ lives. Because girls who have a healthy relationship with their mothers enjoy (MOM)entum in life. (I know it’s cheesy but work with me here). Remember at the beginning of this school year, when I shared the 10 things every teen girl needed for Back2School (and for life), that you wouldn’t find on a supply list? 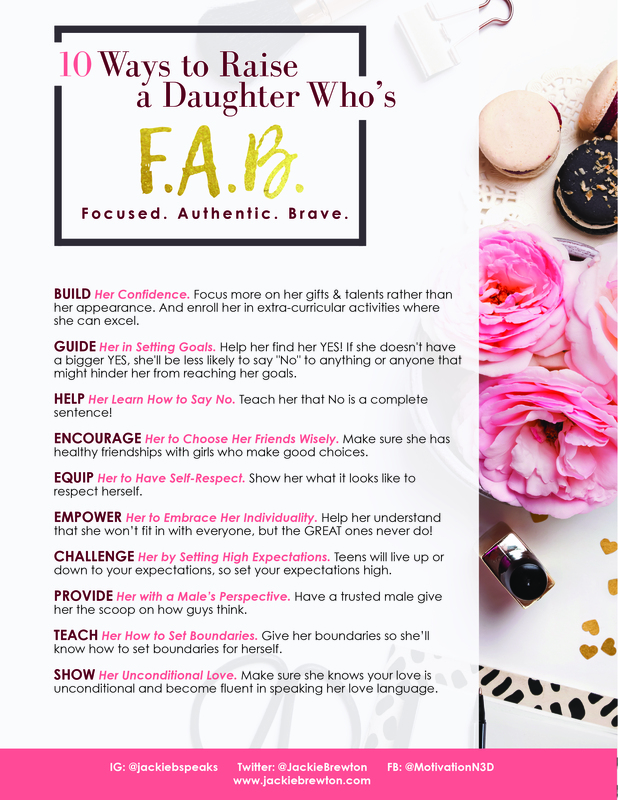 I even included a special download for your daughter called 10 Things Every Teen Girl Needs to be F.A.B. (Focused, Authentic & Brave). Today, in honor of Mother’s Day, I have something just for you! Focus more on her gifts & talents rather than her appearance. And enroll her in extra-curricular activities where she can excel. GUIDE Her in Setting Goals. Help her find her YES! If she has a YES, it will be easier for her to say “No” to anything or anyone that might hinder her from reaching her goals. HELP Her Learn How to Say No. Teach her that No is a complete sentence! Not just in romantic relationships, but even with her friends. ENCOURAGE Her to Choose Her Friends Wisely. Make sure she has healthy friendships with girls who make good choices. EQUIP Her to Have Self-Respect. Show her what it looks like to respect herself. EMPOWER Her to Embrace Her Individuality. Help her understand that she won’t fit in with everyone—but the GREAT ones never do! CHALLENGE Her by Setting High Expectations. Teens will live up or down to your expectations, so set your expectations high. PROVIDE Her with a Male’s Perspective. Have a trusted male give her the scoop on how guys think. TEACH Her How to Set Boundaries. Give her boundaries so she’ll know how to set boundaries for herself. Become fluent in her love language and make sure she knows your love is unconditional. Again, supply your daughter with these 10 things and she won’t just be ready for school next year. She’ll be ready for life! Go here to download your very own F.A.B. Checklist today! You and your daughter will be glad you did.